I am so excited. 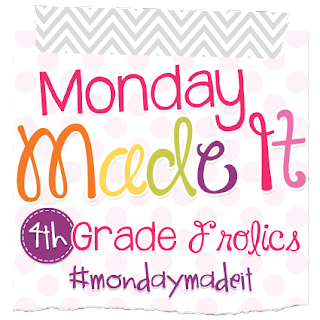 Now that summer is here, it is time for my FAVORITE linky party - Monday Made It with 4th Grade Frolics. I just LOVE getting my CRAFTY on. Today, I have included a freebie too. Doesn't this look like FUN?!? 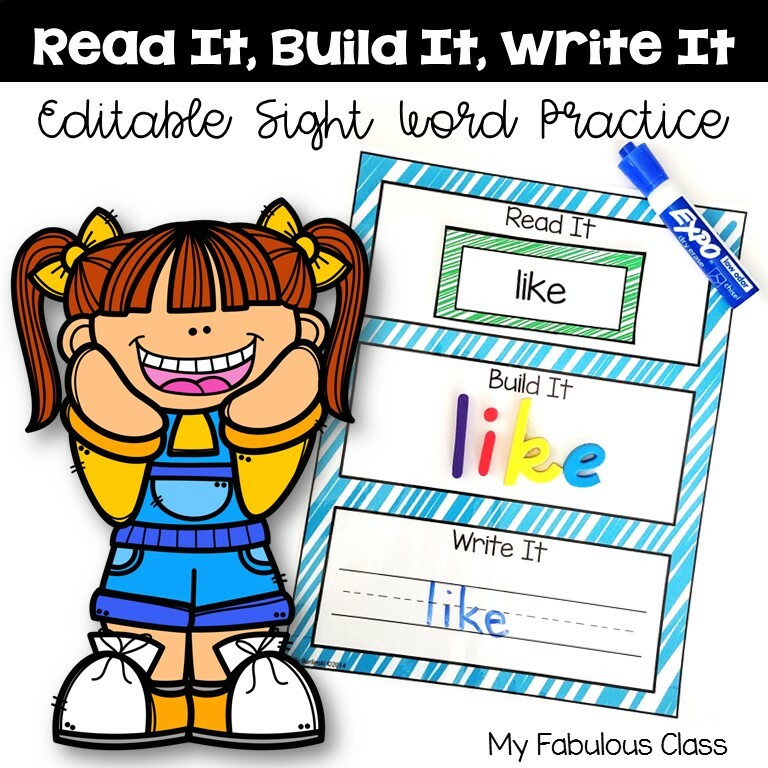 Yes, it is very simple and there is a lot you can do with it! 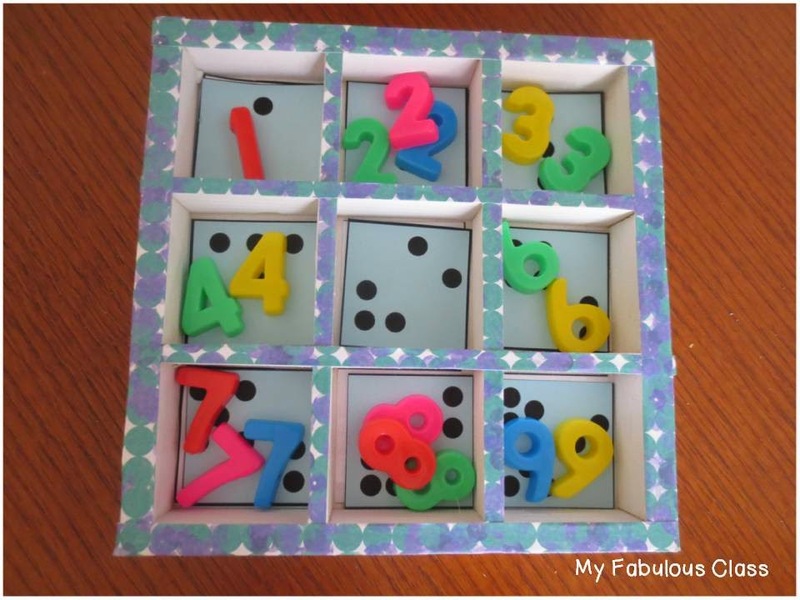 Awhile back, I picked up several of these nine square boxes at the Dollar Tree. They are suppose to hang on the wall. I spay painted them white. 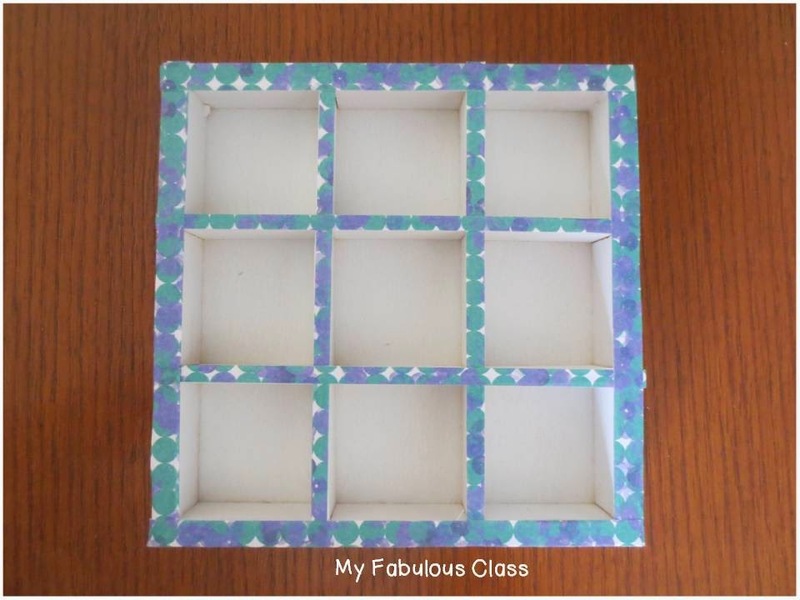 Then I cut scrapbook paper into strips and I used Mod Podge to stick it. Yes, you could use washi tape. I happen to have A LOT of beautiful scrapbook paper on hand so I used that. 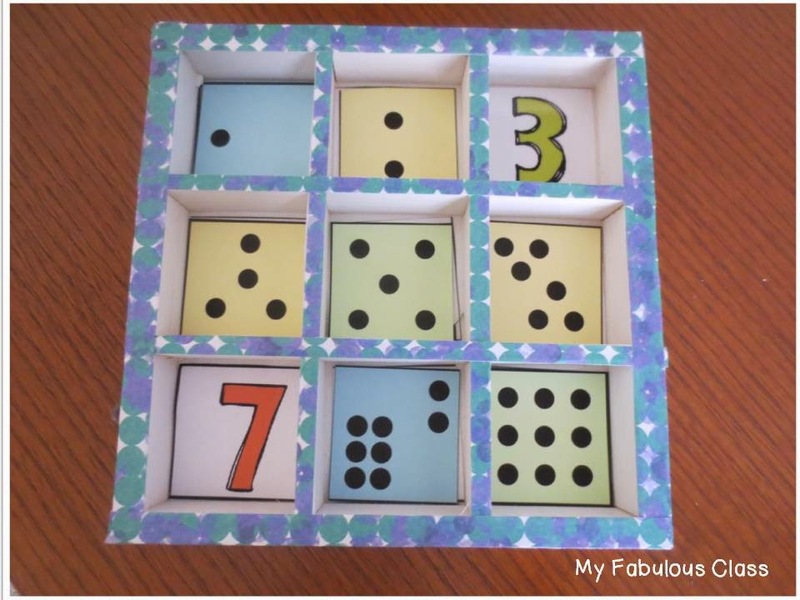 I made a set of number cards 1-9 to place inside the squares. I also made three sets of dot cards. 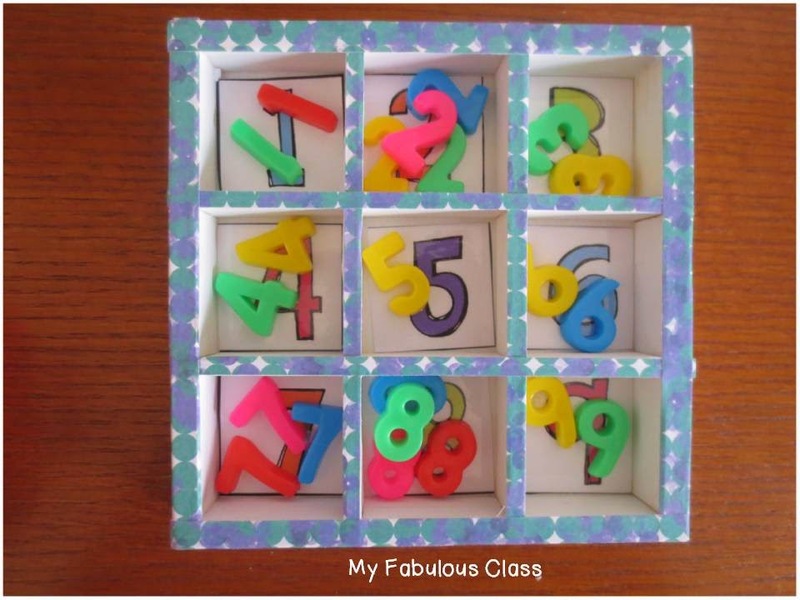 I also got these plastic numbers at the dollar store. LOVE THEM! I printed out three sets of dot cards on different colored card stock. 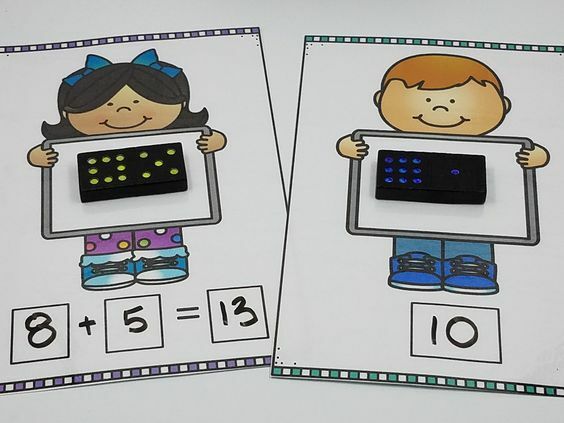 Each number gets three different dot patterns. Perfect for SUBITIZING. Instead of placing numeral cards, you can just place the dot cards inside and match the numerals. 3 in a Row-it works just like Tic Tac Toe. 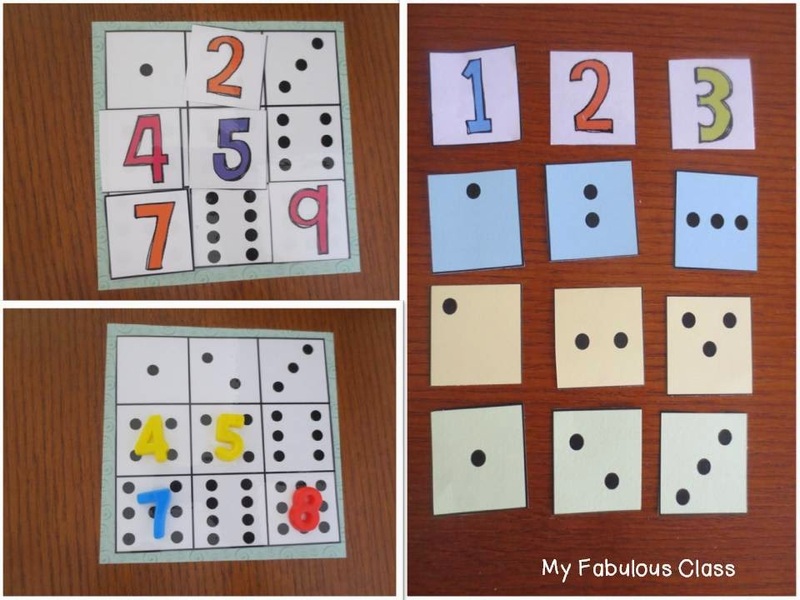 Draw a dot card, count the dots, cover the number. First person to get three in a row WINS! If you don't have a Dollar Tree near you, you can still use these! 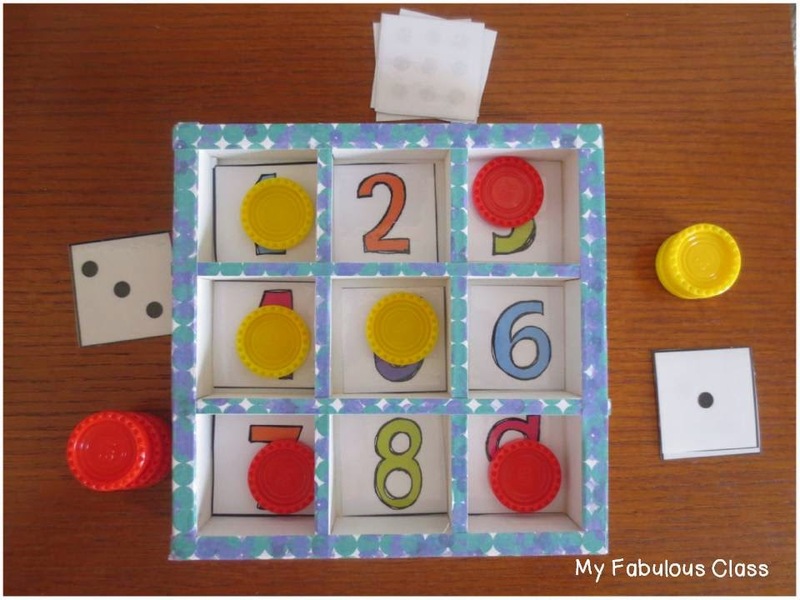 Instead of cutting out the dot cards and numeral cards, you can leave them together as a board. 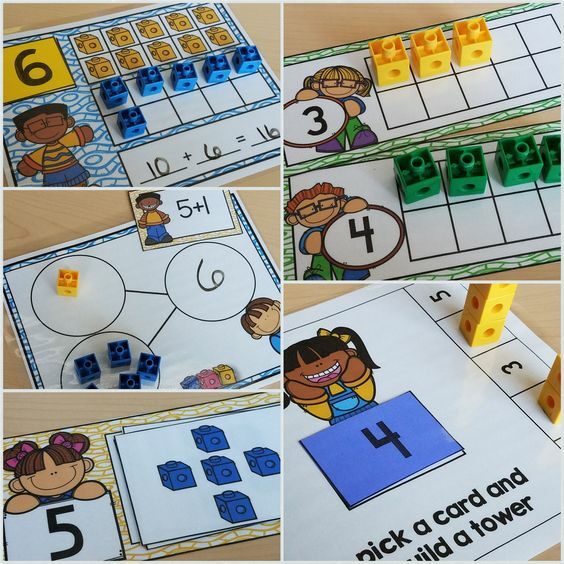 You can also have student sort them. They will fit perfectly in a dollar store pocket chart. 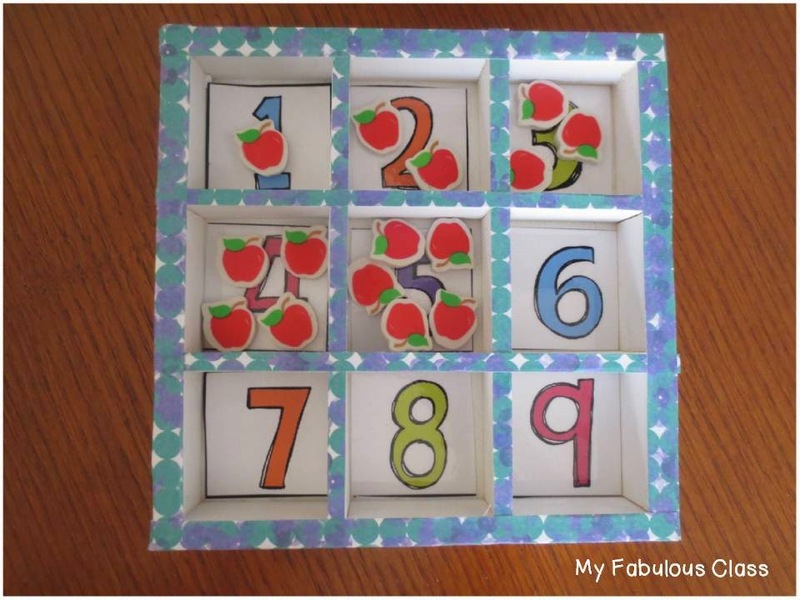 The numeral cards are made by clip art from Graphics From the Pond. 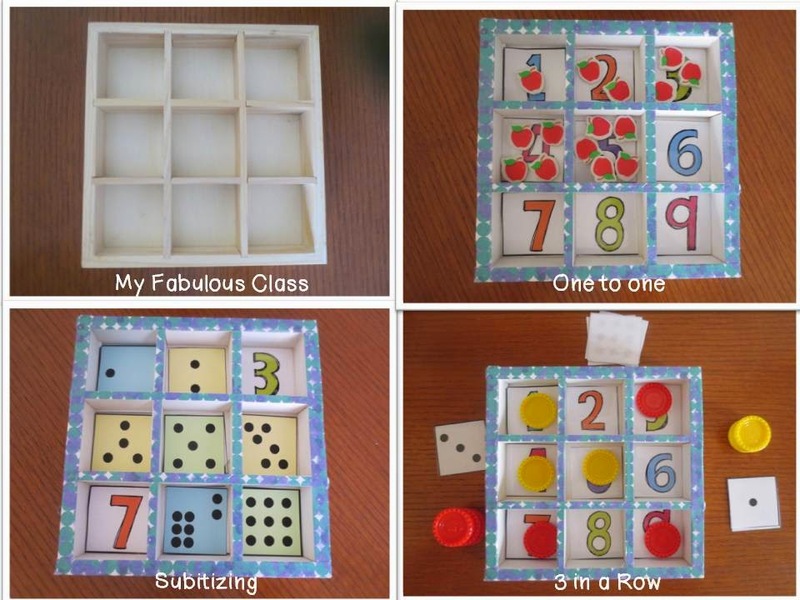 You can get the numeral cards and three sets of subitizing cards FREE HERE. Have you followed me on Facebook yet??? I have a great FAN FREEBIE on there too. Oooo I'm going to show my mom this idea! 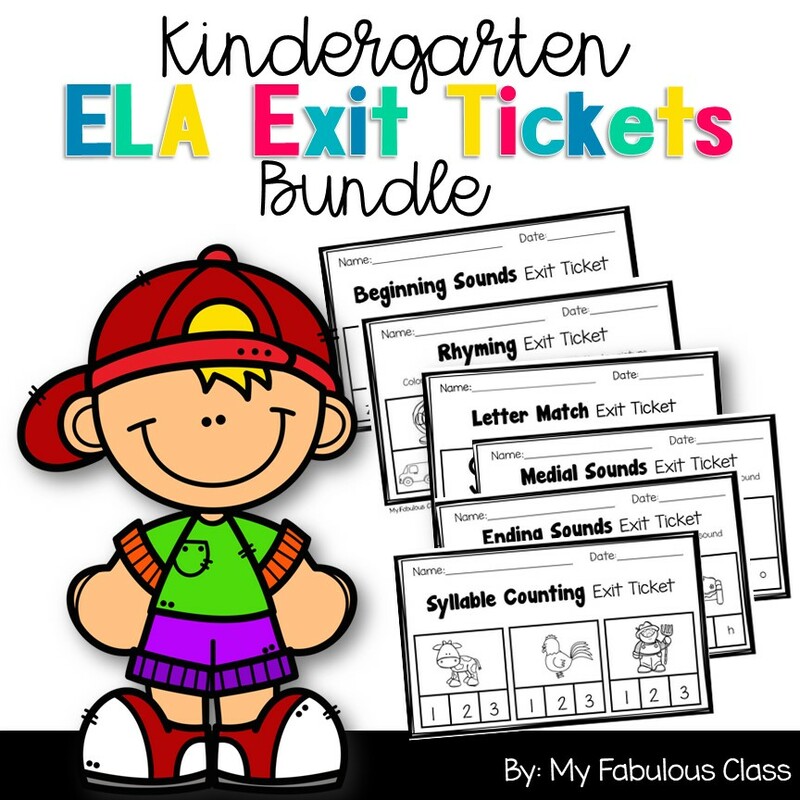 She is the director at a daycare working with preschoolers- this would be fabulous! Awesome Idea! Great idea! I am adding it to my list! This is great. I love the dollar tree!